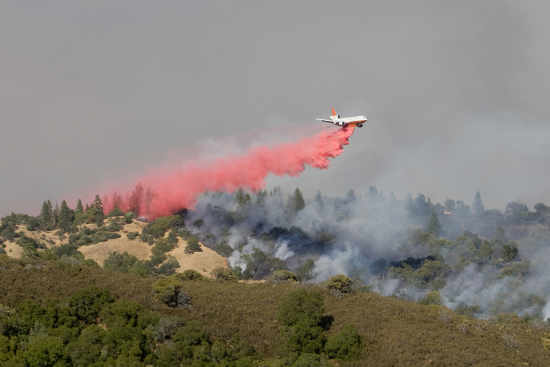 If a picture is worth a thousand words, the generous donations of the exceptional photographs for this website have avoided the need for much writing and reading. 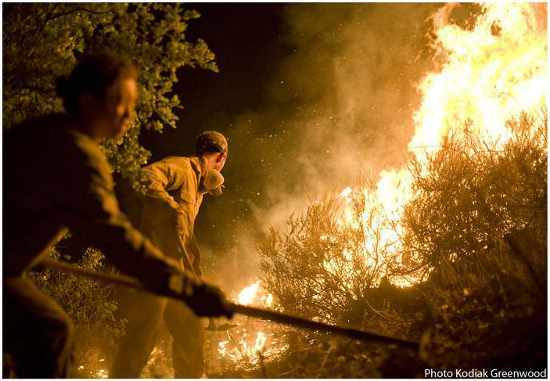 The Fire Safe Council For Monterey County gives a heartfelt Thank You to professional photographers Kodiak Greenwood and Tom O'Neal, and CAL FIRE. 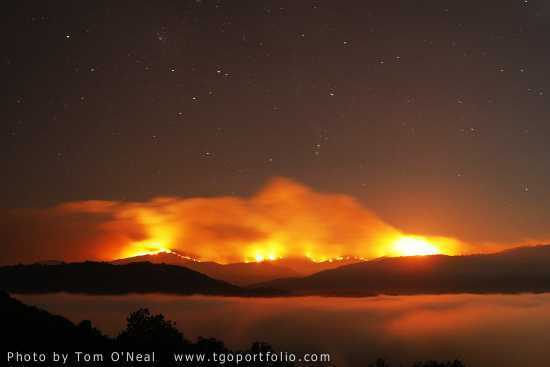 Uncropped copies of the photographs, and credits, are below. 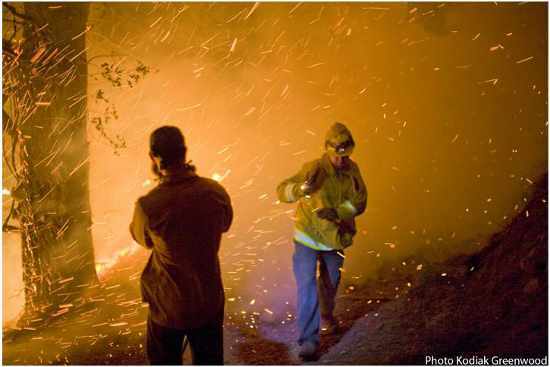 Civilians working to save structures from the Basin Fire in Big Sur, 2008. 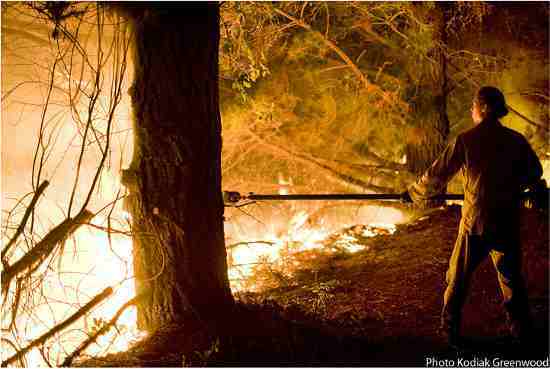 Civilian working to save structures from the Basin Fire in Big Sur, 2008. 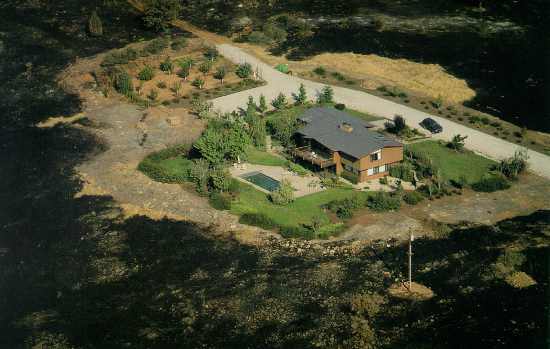 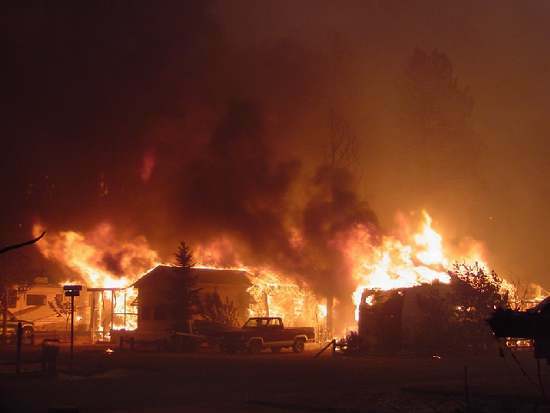 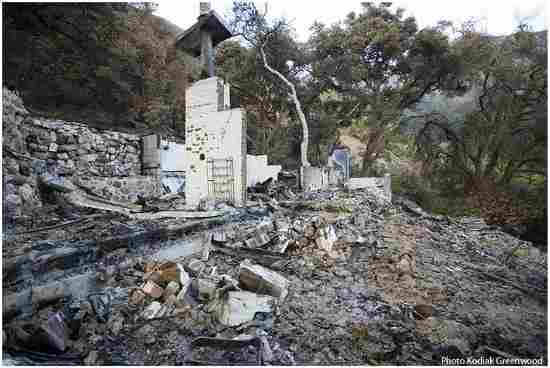 One of 26 homes and 32 other structures lost to the Basin Fire, 2008.